Should you buy a Samsung I8520 Galaxy Beam ? Although galaxy beam is categorized as high end android smartphone (see the specs below), I think its not yet time to decide if you are to buy this phone. The pico projector is the heart of this phone, Galaxy Beam exists because of that feature. Not until we learn the specification of the projector, its price, and , of course, availabiity. Is it worth the wait, knowing that there are great phones retailing this Q3 - Q4? I'll watching this phone out for update. Check this blog from time to time. Definitely going to buy this phone. I'm looking for something unique in a phone, here it is. Projector! 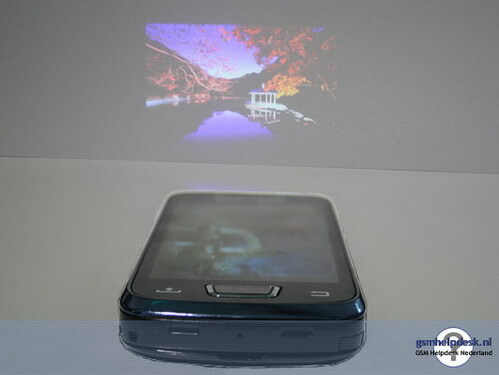 You are correct,pico projector feature is very promising piece of technology. In no time, this will be embedded on our car's dashboards or wristwatches etc. Possibilities are endless.